Why keep searching all Chevy dealers in Wisconsin for a diverse selection of used Chevy trucks for sale? We have everything you need right here at Ewald Chevrolet Buick. Ewald’s Chevy dealers in Wisconsin has an incredible inventory selection of used Chevy trucks for sale. Including used Chevy Silverado trucks for sale near me. When you want to find a Silverado for sale, ask a truck expert at Ewald’s Chevy dealers in Wisconsin to show you all of the great Chevy trucks for sale that we offer. With our used Chevy trucks for sale near you, easily find the one that you are ready to call yours at Ewald Chevrolet Buick. Come out to your Chevy dealers in Wisconsin of Ewald Chevrolet Buick. Chevy trucks have strength and power for working hard The Silverado truck is made to do quality work with strength the precision. If you need incredible torque and horsepower, then you want a Chevy Silverado truck for sale. Take on the road with a used Chevy Silverado truck for sale from Ewald’s Chevy dealers in Wisconsin. We look forward to and answering all of your questions on our used Chevy trucks for sale near you when you stop in Ewald Chevrolet Buick. 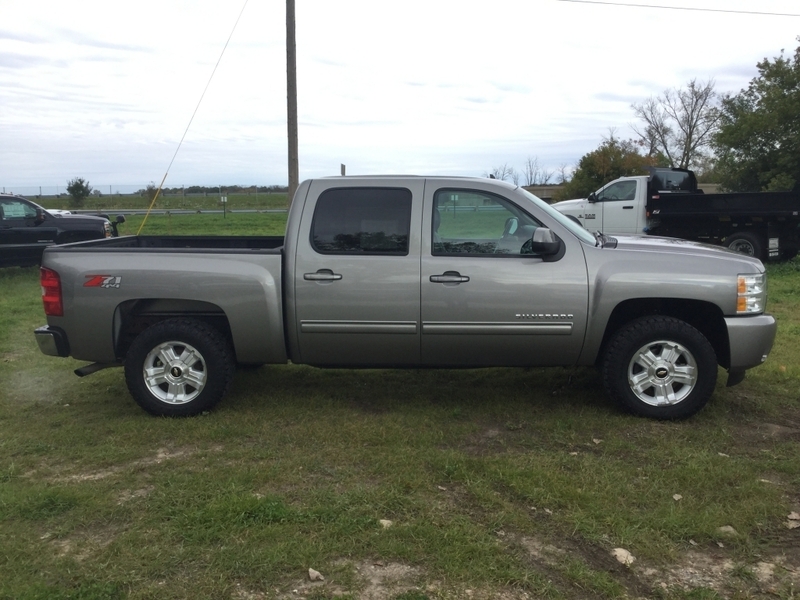 Check out the used 2013 Chevrolet Silverado 1500 LTZ for sale. This used Silverado truck for sale has plenty of interior space. Not to mention an incredible towing capacity. This used Silverado for sale comes equipped with a powerful Vortec 5.3-liter V8 engine. Other features like leather heated seats, steering wheel controls, and remote engine start. This is sure to make this used Silverado for sale a pleasure to own. If this used Silverado for sale isn’t the Chevy truck for you, check out one of the other trucks for sale near you. We have a full selection of used Chevy Silverado trucks for sale to choose from at Ewald’s Chevy dealers in Wisconsin. We are happy to sit with you and figure you what Chevy truck meets your everyday needs and desires. We can help you search through our inventory to find a used Chevy Silverado truck for sale that is perfect for your day to day needs. Browse through our online inventory selection of used Chevy Silverado trucks for sale near you. You can find your truck based on the criteria that is most important to you. When it comes to Silverado trucks for sale near you, make the trip here to Ewald Chevrolet Buick. We look forward to working with you to find the perfect Silverado for sale for you. When it comes to buying your next used Chevrolet Silverado truck for sale, let Ewald’s Chevy dealers in Wisconsin be your dealership. You can give us a call at (262) 226-2842 to schedule your test drive. Or, check us out in person at Ewald Chevrolet Buick located at 36833 E Wisconsin Ave Oconomowoc WI, 53066.